Despite everyone agreeing print security is important, many companies are still lacking, Lexmark study finds. 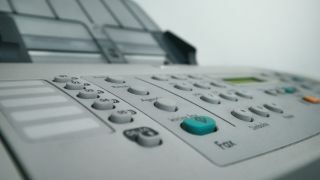 Schools and universities are leaving themselves open to attack due to unsecure items such as printers, new research has claimed. The 2018 Print & IT Applications in Education report from Lexmark International found that many organisations are in drastic need of a security boost as they become more technological. The report says that 89 per cent believe device security is a high priority. At the same time, more than half (57 per cent) think they don’t have a security solution in place. A quarter doesn’t know if they’re using a print security solution. When it comes to usage, 12 per cent spend up to four hours a week scanning hard copy documents, and 41 per cent can’t even remember how much they spend. “The research suggests there is plenty of scope for improvements across the sector,” commented Martin Fairman, managing director, Lexmark International Ltd, UK & Ireland. Most commonly, people use these devices to photocopy content. Six per cent send faxes. A vast majority (76 per cent) believe cost control and print management is fairly high priority.